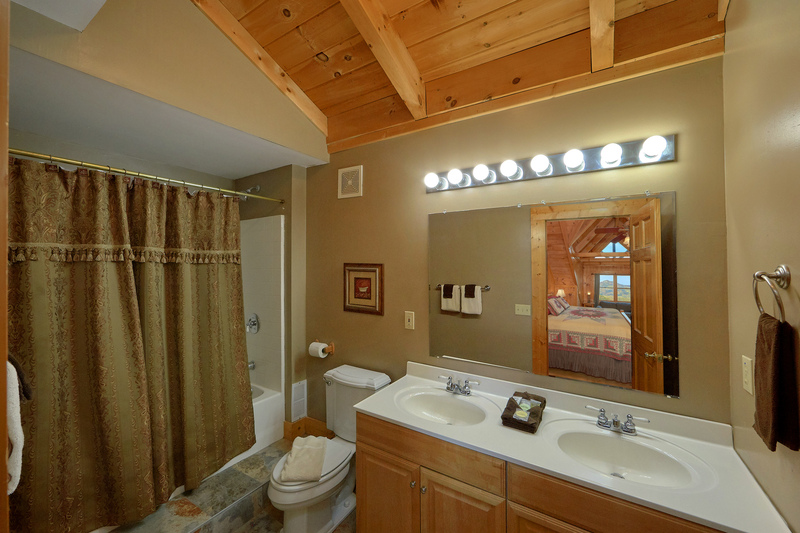 Breathtaking truly describes this amazing three bedroom, three bath log cabin. 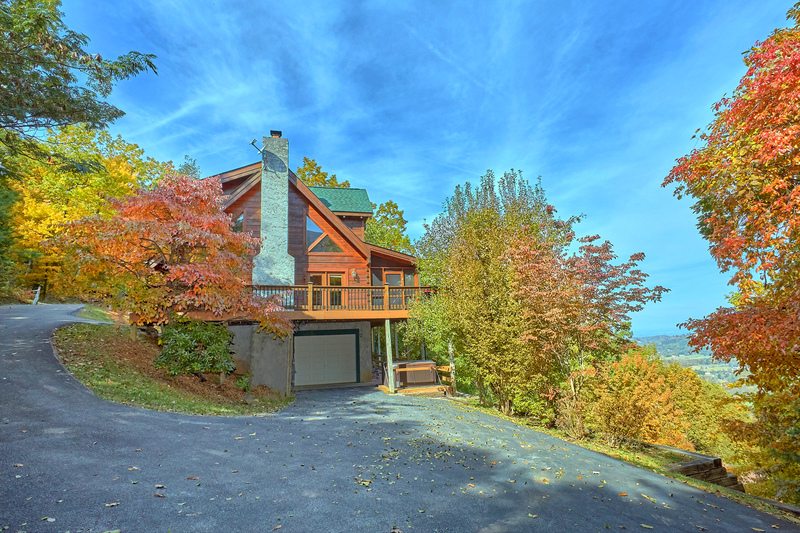 Situated on a large lot located high on Cove Mountain in beautiful and quiet Wears Valley. 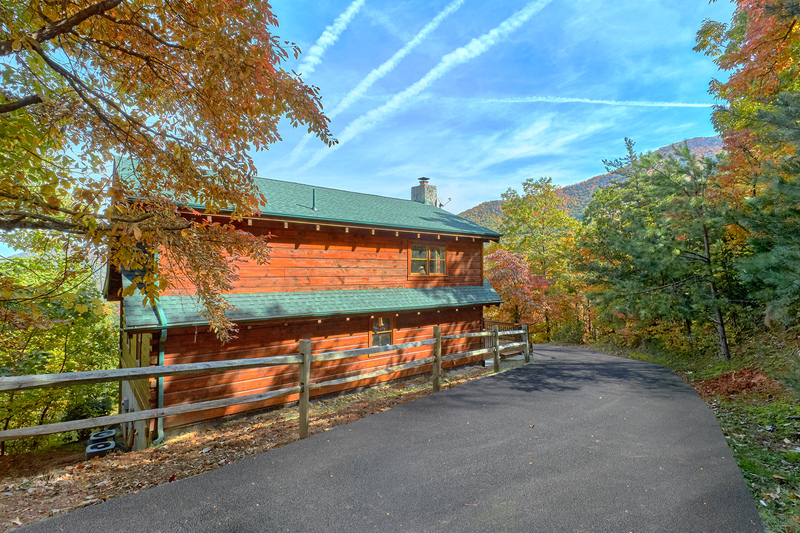 This cabin gives you the delight of gorgeous mountain and valley views, close proximity to the Great Smoky Mountain National Park, yet is still a short drive to both Pigeon Forge and Gatlinburg. Wireless internet is available in the cabin to keep you connected to the rest of the world. Each room is exquisite: there are large closets, spacious bathrooms, comfortable beds, and exceptional amenities. 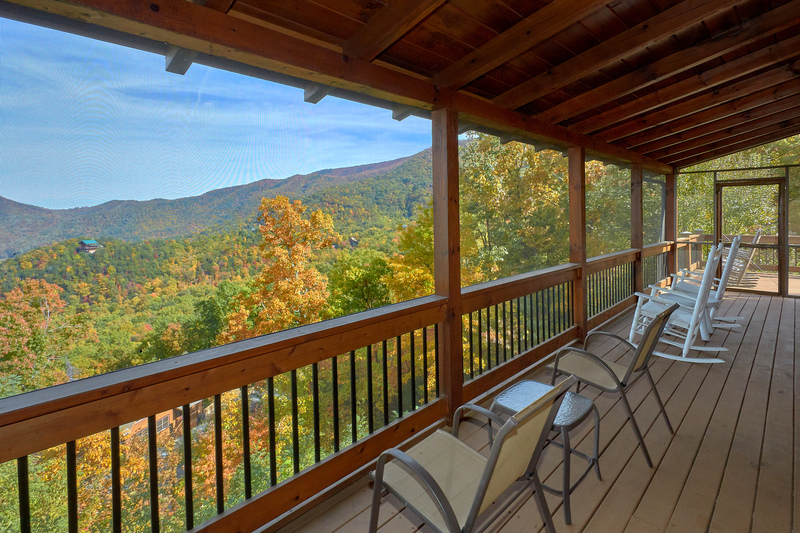 Open the glass doors and behold the breathtaking views of the Great Smoky Mountains. You'll love the huge wrap around deck, open on one side of the cabin and featuring a screened in porch on the other side. 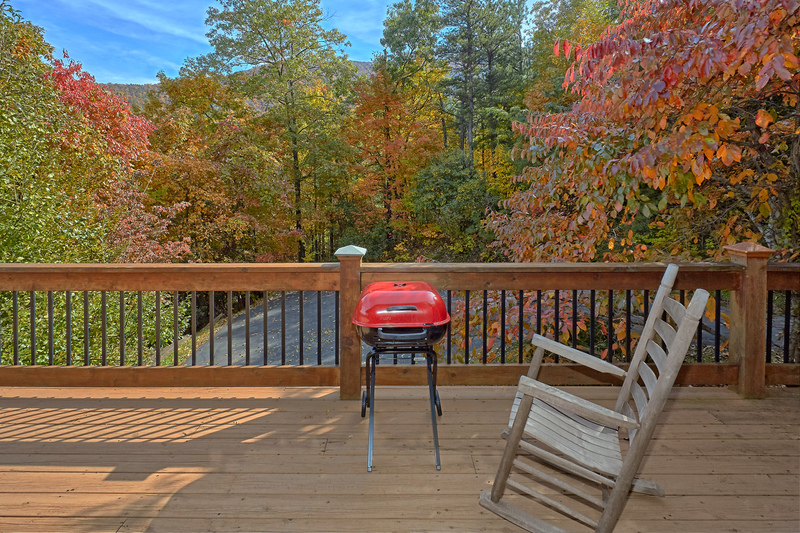 There is plenty of deck furniture, including rockers, so you can relax and enjoy the mountain and valley views. The full glass double front doors, as well as vaulted ceiling, give ample light to the professionally decorated family room. 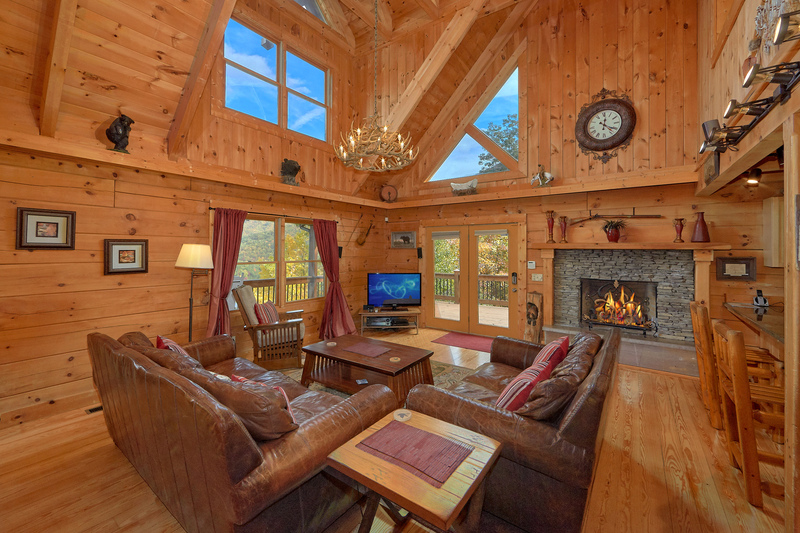 It features a leather sofa and loveseat, cushioned rocker, an inviting stacked stone gas log fireplace, and a 43 inch flat screen high definition TV with DVD, DirecTV and Sony digital surround sound. 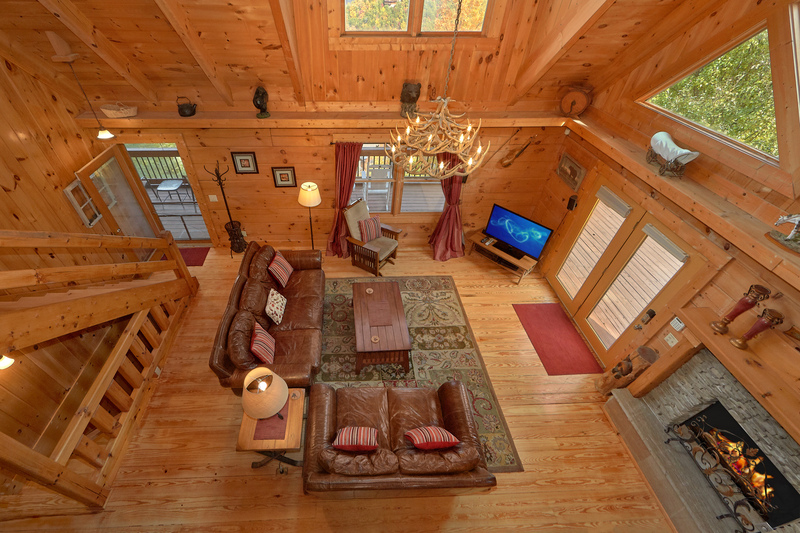 A gorgeous antler chandelier hangs in the center of the room, giving the home a lodge decor. 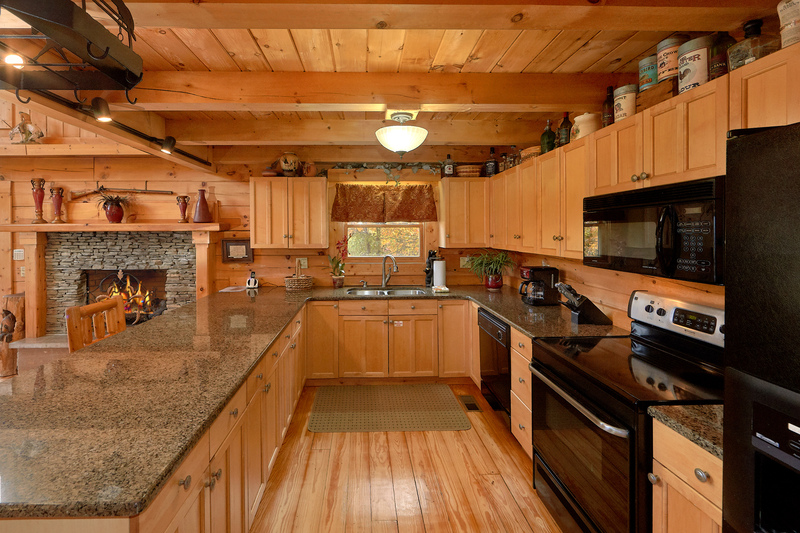 The exceptionally equipped large kitchen has maple cabinetry and contains a flat top range, double sinks with garbage disposal, as well as beautiful granite counter tops. 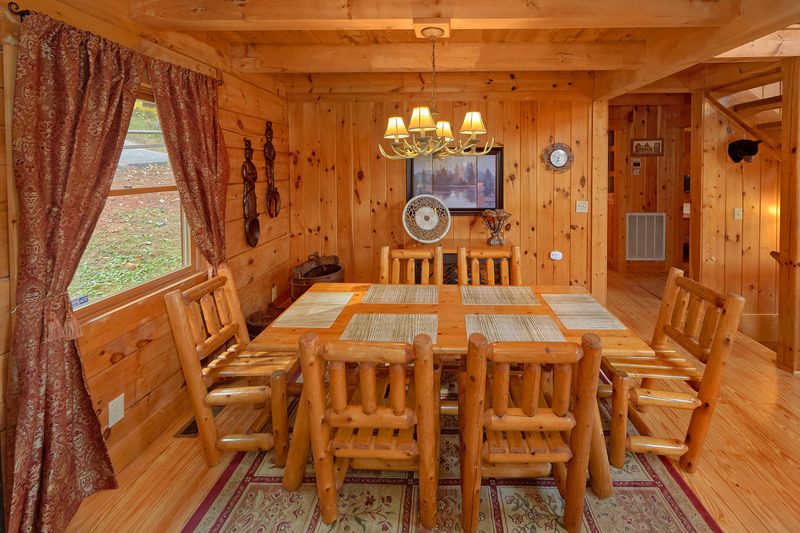 The dining area has a wonderfully crafted log table and six log chairs, as well as a smaller antler chandelier. 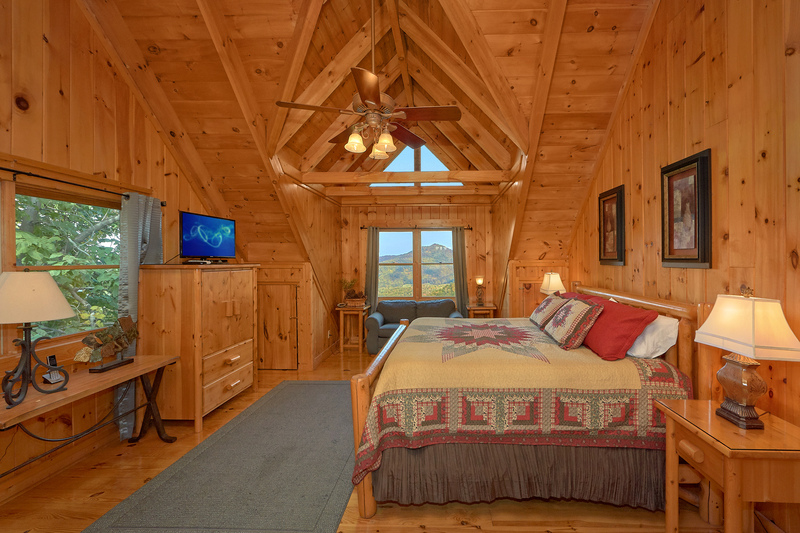 The first bedroom on the left (main level) has a queen-size log bed with matching nightstands and dresser and a flat screen tv. The second bedroom, also located on the main level, has a queen-size bed, a flat screen TV and features large picture windows that frame the spectacular view! 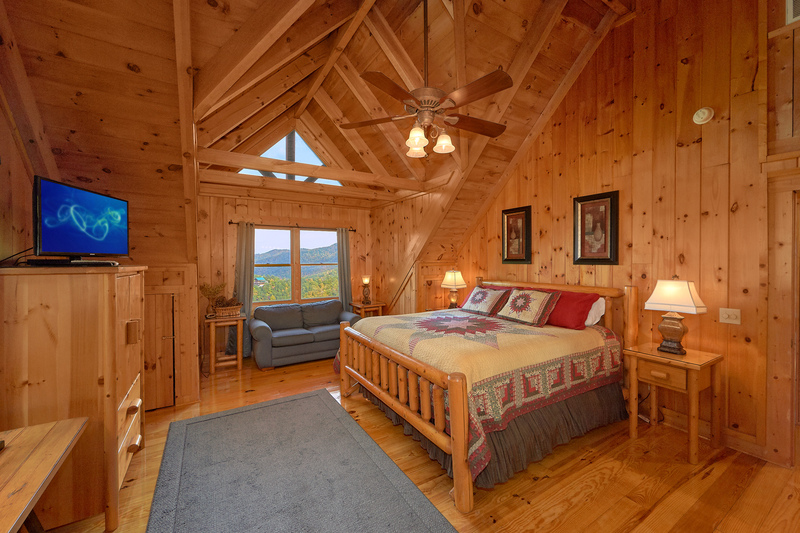 The large master suite is located upstairs and is luxuriously appointed with a king-size log bed, vaulted ceilings, a flat screen TV. 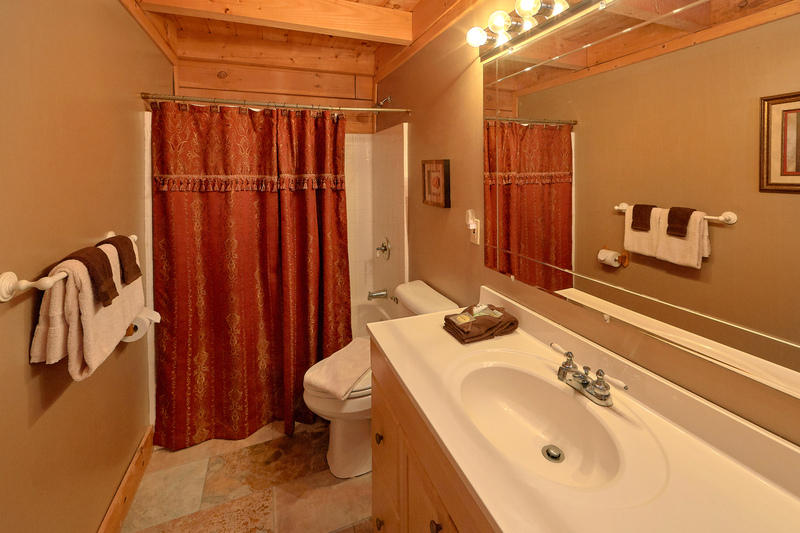 Your private bath features double sinks and a romantic sitting area overlooking the gorgeous view. 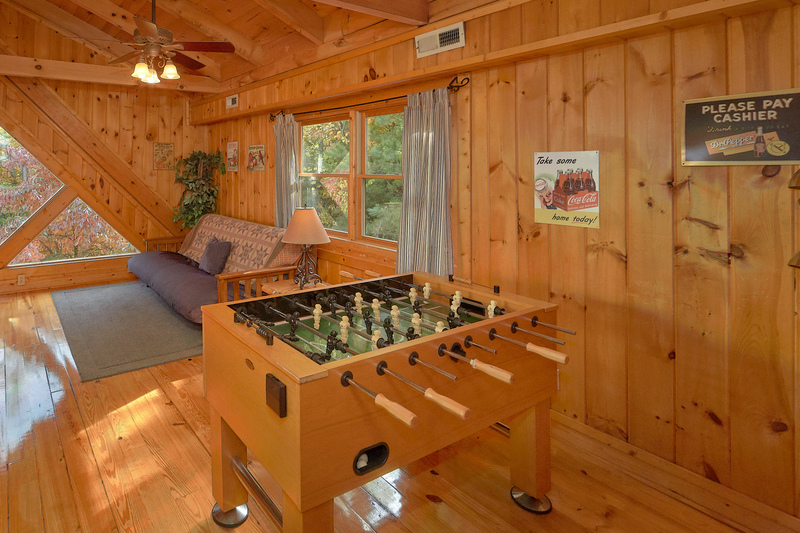 An open loft game room is furnished with a queen sized futon, a foosball table and a number of popular board games. The loft is a great place to gather with family and friends. 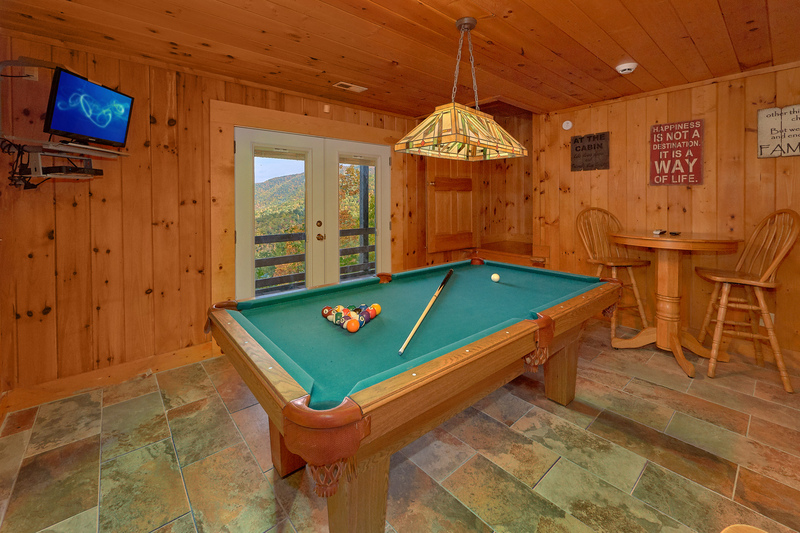 For more action head downstairs, there you will find another game room complete with a pool table, a flat screen TV, and plenty of seating. From the lower level, there are French doors leading to another patio with rockers and the hot tub. 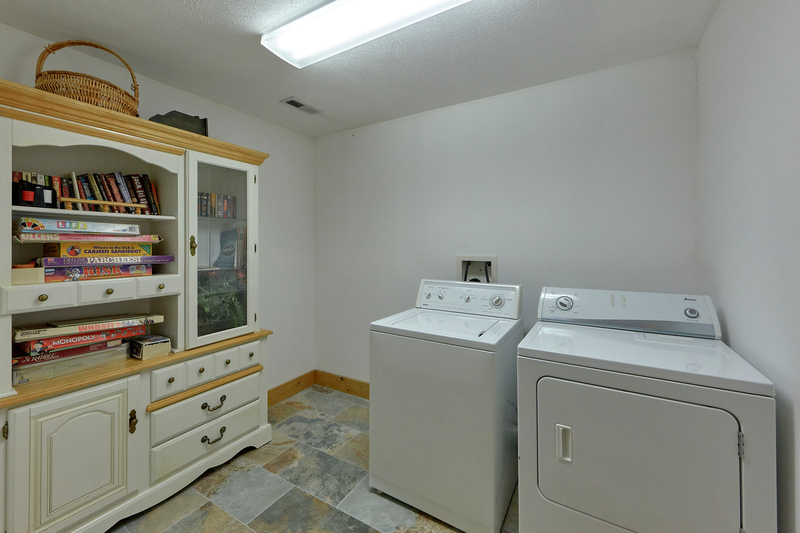 As an added convenience there is a bathroom and full-size laundry room on this level. 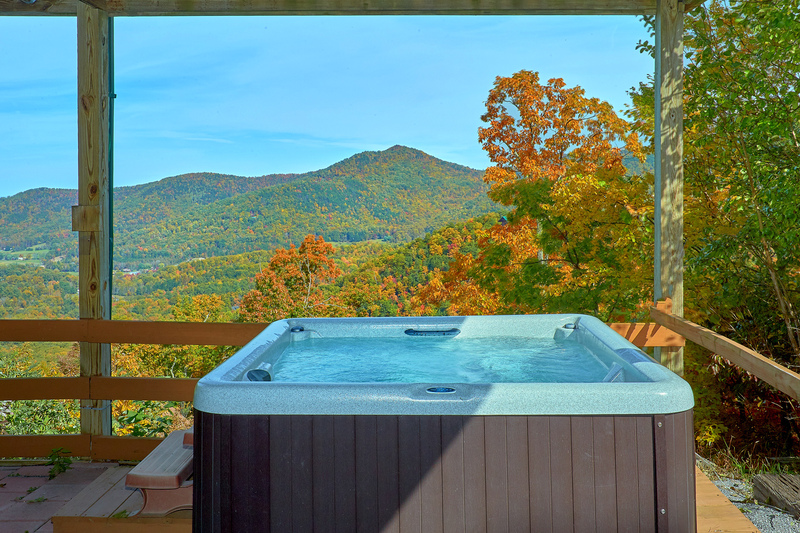 Elegantly and tastefully decorated with many thoughtful details, at Breathtaking you will enjoy the experience of the Great Smoky Mountains immersed in luxury and comfort. 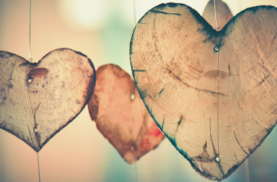 We love staying with Maples Ridge! We have stayed with them for years, and will continue to do so! We tell family and friends about them all the time. 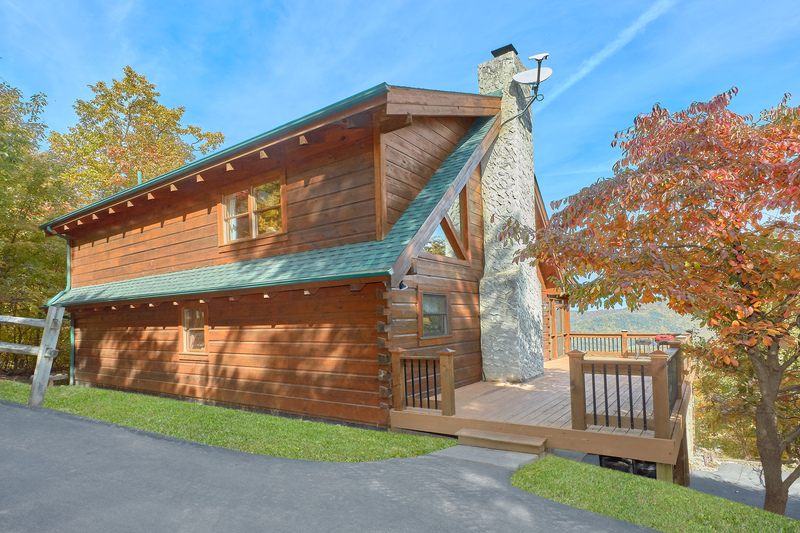 Great Location, wonderful cabin, beautiful The cabin is secluded near the top of a mountain with a great view. 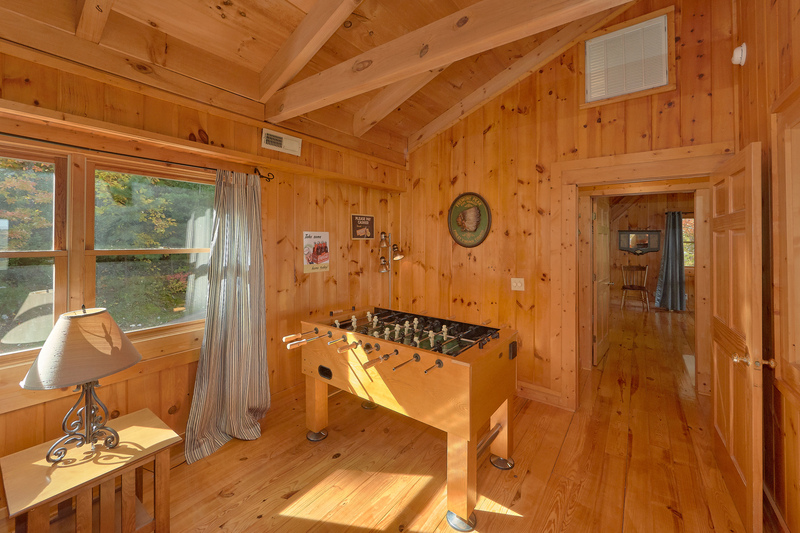 It's a wonderful cabin with great amenities. At night, we laid out on the deck to star gaze. The stars really popped, I we were able to see the Milky Way after a while. WOW!. Be sure you're up for a challenging drive, as the path is steep with numerous sharp turns. You'll want to get here before nightfall. Bring some of your own supplies, as they leave limited TP, paper towels... The "gas grill" is actually charcoal, so bring that if you want to grill out. Take advantage of the location and use the park entrance near Wears Valley if you want to avoid the Gatlinburg, Pigeon Forge crowds. Or you can easily get to the Townsend entrance too. Overall, Very Good! 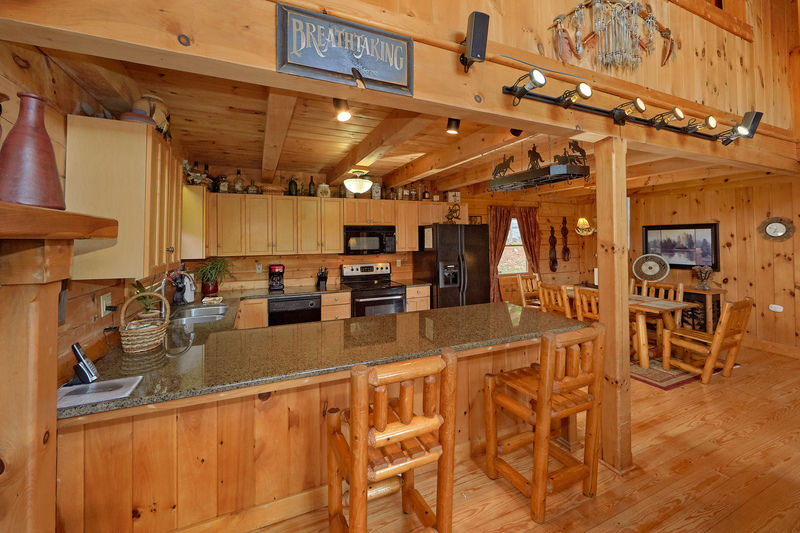 It is Breathtaking The view is stunning and the cabin is well furnished. 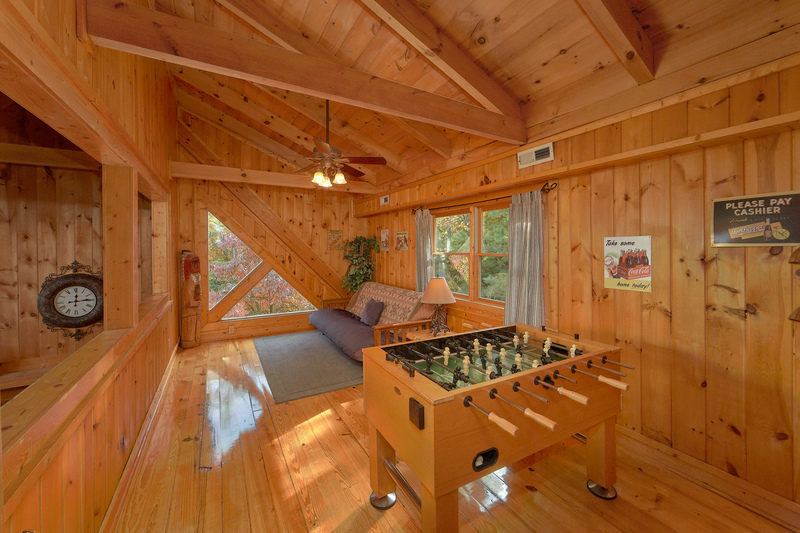 Not a lot of cabins around, quiet and relaxing. Steep drive to the cabin but no issues in the rain. Winter and ice would be very difficult. Make sure when you plug the address for key pickup into your GPS you do Sevierville, NOT Pigeon Forge. Even though the location is closer to Pigeon Forge that address is no good. Owner response is very prompt. Very relaxing stay at this cabin. Would recommend. It was Breathtakin the name says it all! Going up there is definitely an experience as well but something we will never forget ! 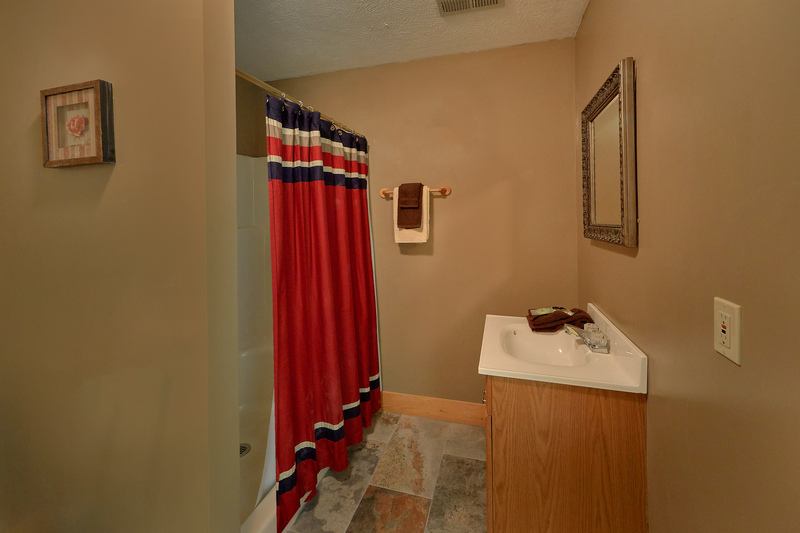 This place is very private , clean, and very spacious! It was everything we was looking for in a cabin and had everything you could possibly need from cookwear to blankets sheets pillows toiletries & more! With three teenagers and a five ur old and two adults we all had plenty of space and room to have our own privacy and two awesome game rooms to keep us occupied as well as board games and uno cards etc ! The tv and home theater sounds were amazing ! I’d give this cabin a two thumbs up! 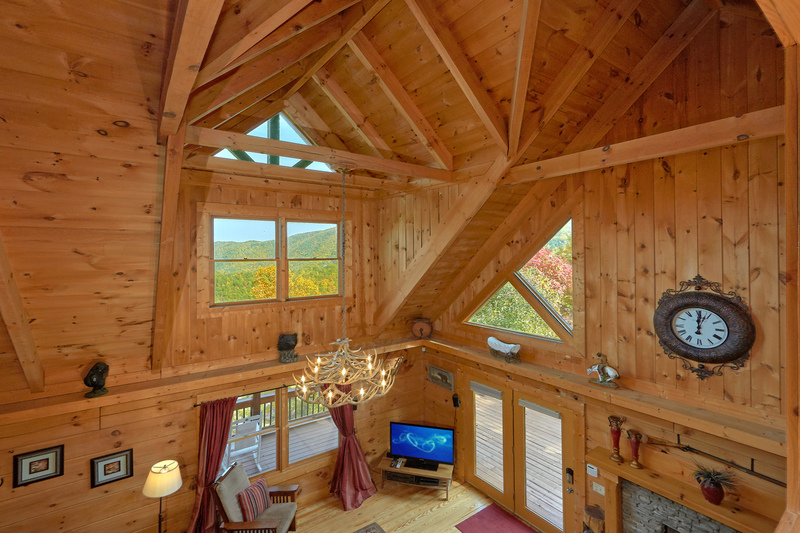 We would definitely like to go back to this particular cabin in the future! Amazing View! Clean cabin! Comfy beds! Loved it!!! We absolutely loved our stay in this cabin!! The view was amazing! The living room furniture was comfy and homey. The beds were comfortable. 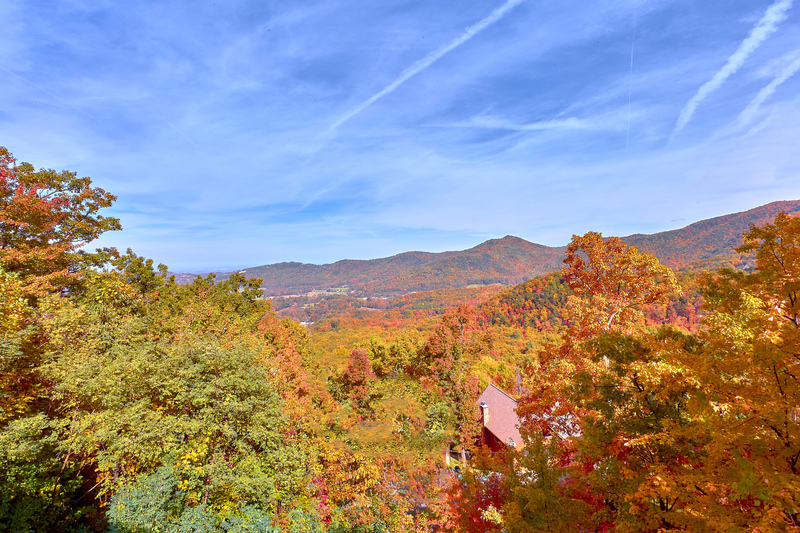 The view from the 2nd floor master suite is amazing! The cabin was very clean. The kitchen was well appointed for cooking. The hot tub was very clean. We loved the screened in deck on the main floor! The pool table was fun as well. Plenty of parking space in the driveway. 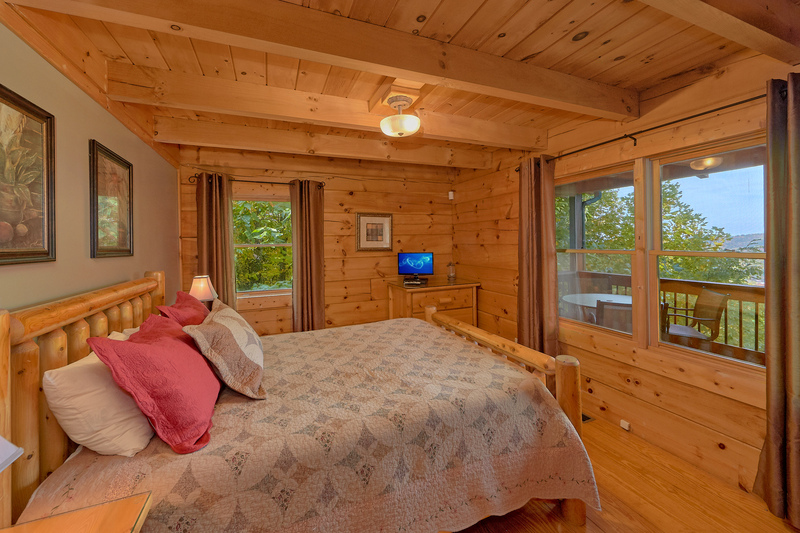 I would certainly recommend this cabin to anyone coming to visit the Great Smoky Mountains National Park. 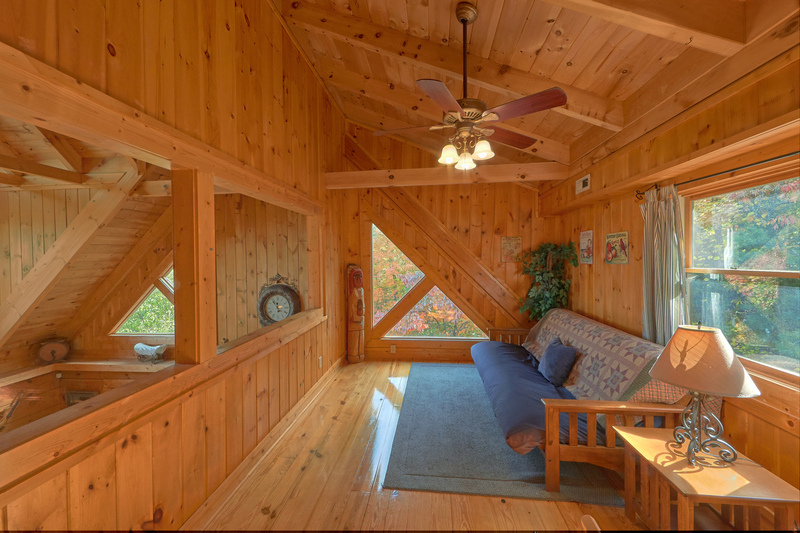 I LOVED the fact that this cabin is not in Pigeon Forge or Gatlinburg. 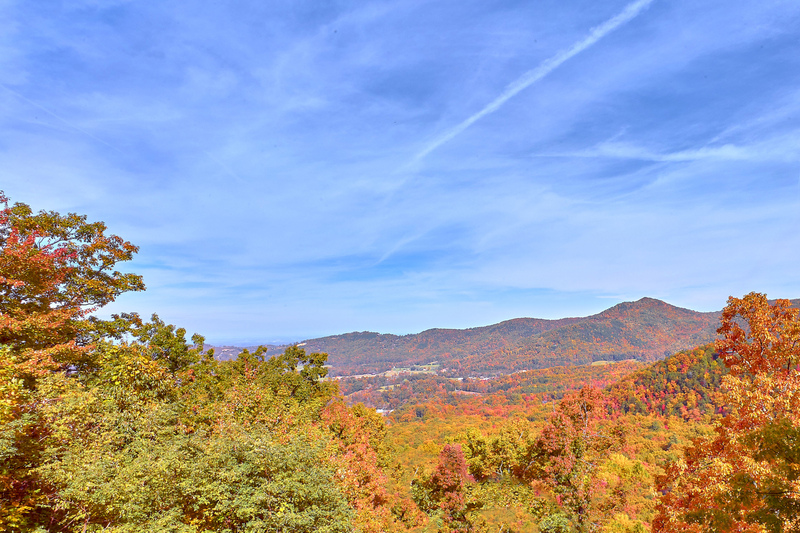 We had a short drive to a less used entrance of the park, yet we were still close to the towns if we wanted to go to Pigeon Forge or Gatlinburg for dinner or attractions. Also loved that even though the cabin is in the mountains, there are some stores nearby in the valley, this was convenient. 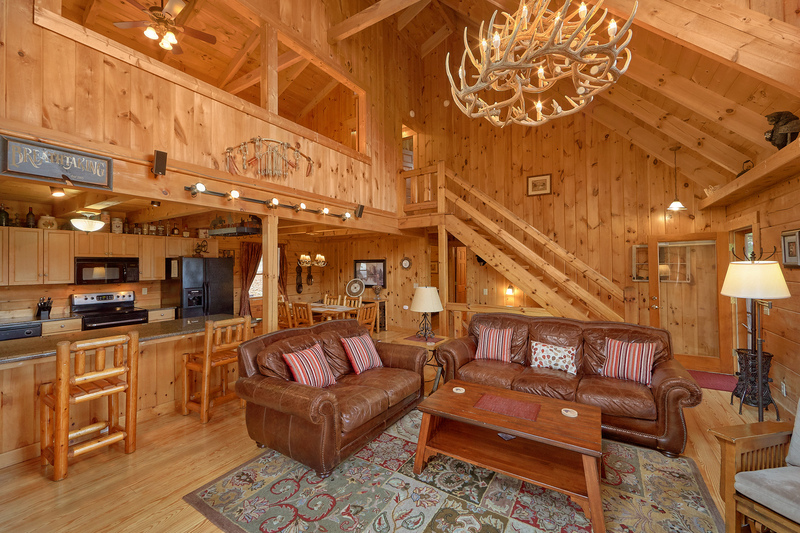 Great cabin!! We loved it!!! Wonderful week Breathtaking was a beautiful log home. It was well equipped and clean. The beds were comfy and there were plenty of pots, pans, towels and the like. 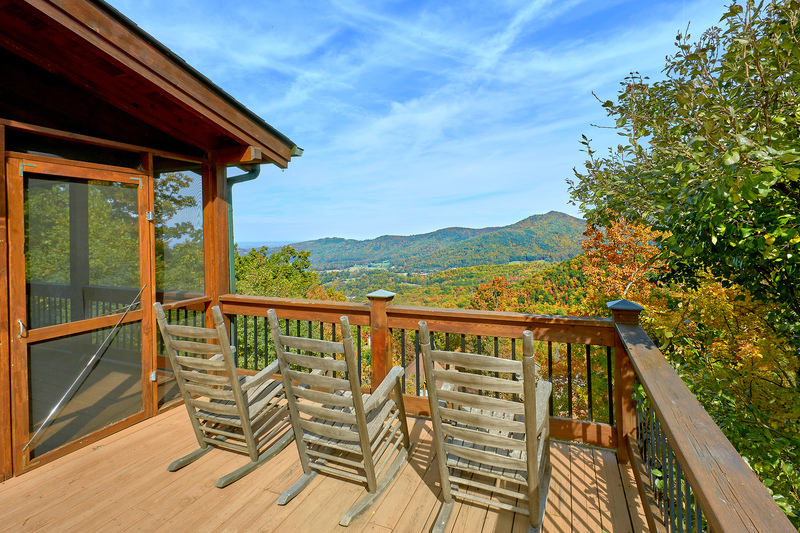 The porches hosted amazing views. Very relaxing place to share time with family. Such incredible views that we did not want to leave. We came for our 5 year anniversary and we wanted views and that is exactly what we got. The fish pond is only a short drive and we loved sitting on the bank and throwing our hook out. We caught several and loved being able to throw them back. Cleaning fish is not my idea of fun tho. 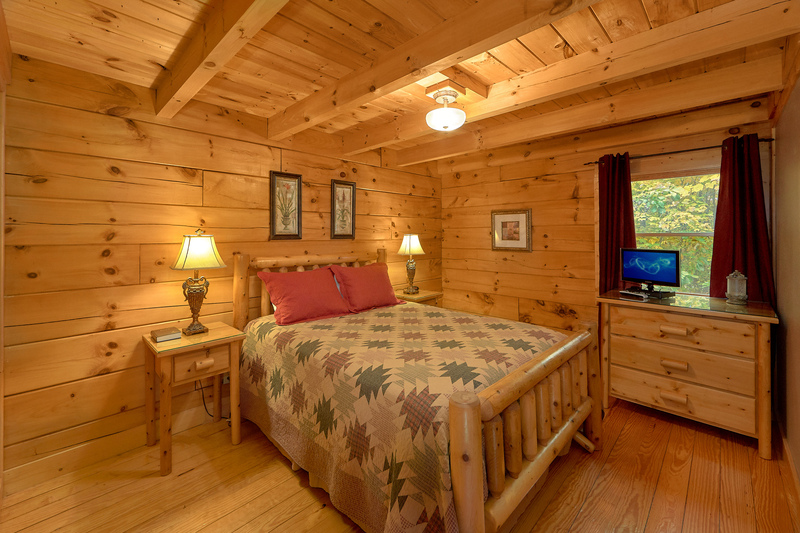 The cabin was decorated so nicely and the bed was incredible to lay down on at night. The pillows were the best I have ever laid my head on.